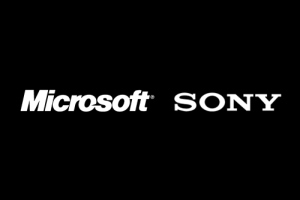 Microsoft has purchased the domain names microsoft-sony.com and sony-microsoft.com. Microsoft registered the former yesterday, and the latter two days, according to a WHOIS search on DomainTools (one, two, via WinRumors). Both domains currently redirect to a Bing search results page. The purchase of the domains have naturally resulted in lots of speculation. The most reasonable explanation is that Sony Ericsson, a joint venture between the Japanese conglomerate Sony Corporation and the Swedish telecommunications company Ericsson, is planning on launching a Windows Phone 7 device. The company has mainly bet on Android but it's always possible that this will change in the future. Sony Ericsson at one point planned to launch a 4-inch screen device featuring a QWERTY slide-out keyboard. Microsoft even named Sony Ericsson as a launch partner when it first unveiled Windows Phone 7. Rumor has it that the two could not reach an agreement around Microsoft's Xbox Live integration in the Windows Phone platform, and so the device was scrapped. Microsoft already has many OEMs under its Windows Phone ecosystem: Acer, Dell, Fujitsu, HTC, LG, Nokia, Samsung, and ZTE. Still, getting Sony onboard surely wouldn't hurt. Then there are the crazy explanations. These are not for the faint of heart, so if you are a Microsoft or Sony fanboy, please do not read on. Why take on Nintendo separately when Microsoft and Sony could destroy the company together? Imagine a PlayBox or an Xbox Station. What if Microsoft just bought Sony outright? Okay, that is pretty nuts. The simplest explanation is that Microsoft and Sony have decided to strike a partnership tha spans multiple levels, though this does not explain why Microsoft bought both domains, as opposed to each company grabbing one each.